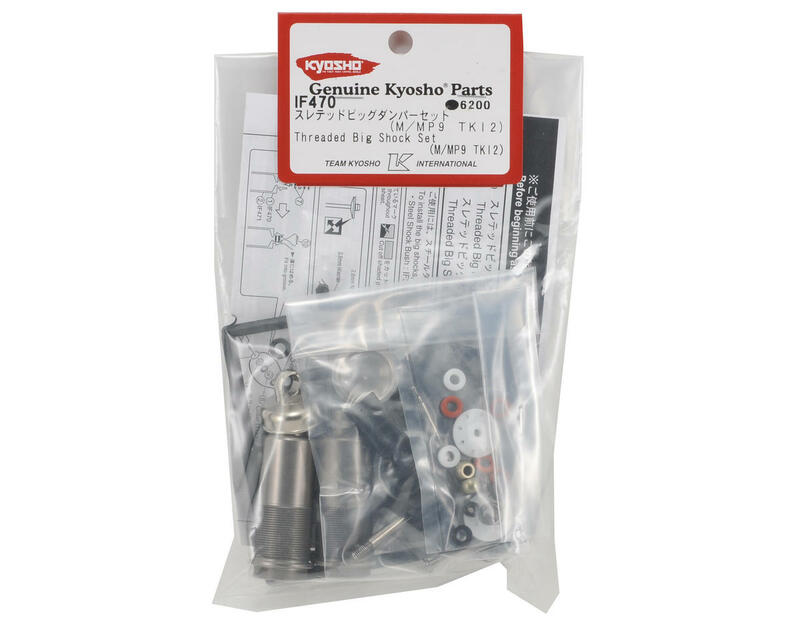 This is a replacement Kyosho Threaded Medium Length Big Bore Shock Set, intended for use with the Kyosho MP9 TKI2. Plastic pre-load spacers are a a thing of the past! 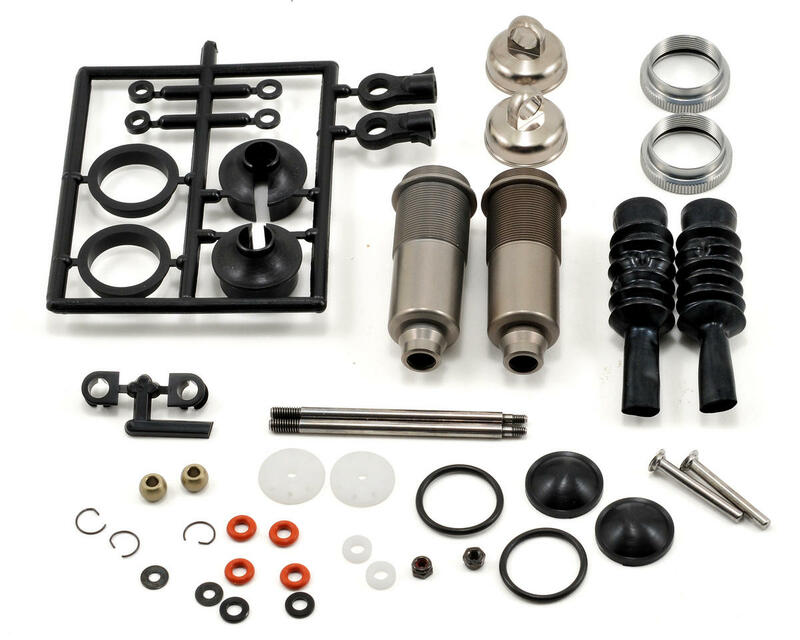 These shocks are threaded, allowing for fast and accurate pre-load adjustment. These are also an excellent option for the front of the ST-RR 1/8 truck, as well as the rear of the standard MP9 when used in conjunction with the Medium Length Rear Shock Tower (Part #KYOIFW408). When used together, these parts will allow you to tune your chassis to different track conditions, and make your MP9 even more versatile.